Stress is a necessary part of life, and also of growth. Without physical stress, our muscles cannot develop, and we cannot build endurance. This is called “eustress” or good stress. When the body is stressed by a threatening or challenging event, the adrenal glands secrete adrenalin, which prepares the body for “Fight-or-Flight.” After the threatening event, the body naturally flushes the adrenalin. However, when stress is not managed, and its effects become cumulative, our hormones will become unbalanced, causing reduced wellbeing and even illness. These can be due to what in the last ten years has been recognised as adrenal fatigue. The adrenal glands, just covering the top of the kidneys, play an important role in making and releasing hormones to help the body deal with stress. The adrenals manufacture and secrete hormones such as cortisol, DHEA, noradrenaline and adrenaline. When we experience unmanaged stress for a long time – either emotional (work stress, divorce, a death of a loved one, constant financial stress) or physical (chronic illness, over-exercising, alcohol or substance abuse, sleep deprivation) – then our adrenal glands may not be able to keep up with the constant demand. Adrenal fatigue is a condition in which the adrenal glands have become exhausted from an acute or constant demand upon them. People’s bodies deal with stress in different ways. Some find that when they have been stressed over the long-term, they gradually become tired and unable to deal with the stress. Others however, may appear to deal with it well; then have more sudden ‘break-down’ in health (including heart attack, which for some is the first and last symptom of stress). Do you have predisposing factors for adrenal stress and fatigue? Do you have any of the following predisposing factors? Identifying these can help to pinpoint key causative factors for you. Have you experienced long periods of stress, or one or more stressful events that have affected your well being? Do you typically drive yourself hard, even to exhaustion in achieving your goals or completing your tasks? Do you tend to gain weight, especially around the middle like a spare tyre? Do you overlook exercise and going out in nature? Do you have a history of alcoholism or drug abuse? Do you have environmental sensitivities? Do you get by with little sleep, or feel tired in the morning? Do you tend to respond negatively to situations, or get gloomy or depressed? Do you tend to get anxious? Do you overlook relaxation tools like yoga, meditation and breathing (pranayama)? Do you find it hard to say “no” to doing extra work or helping people? If you have answered yes to several of these, you might be predisposed to stress symptoms and eventual adrenal fatigue. Has your ability to handle stress and pressure decreased? Are you less productive at work? Is your memory affected and are you getting “fog-brain”? Do you have many unexplained fears or anxieties? Do you need to lie down or rest after psychological or emotional pressure/stress? Have you become allergic to foods and other substances that you weren’t before? Do you have unexplained and frequent headaches? Do you have a decreased tolerance for the cold? Have you begun to have feelings of hopelessness or despair? Do people irritate you more? Do you often have to force yourself in order to keep going. Everything seems like a chore. Do you have difficulty getting up in the morning and don’t really feel awake until 10am? Do you have an afternoon low between 3.00 and 5.00pm? Do you get low energy, moody or foggy if you do not eat regularly? Do you get coughs and colds that stay around for several weeks? Do you sometimes just feel desperately tired? The body is intricately connected, and hormones, as messengers, influence each other. It takes a shift of just a few milligrams for a hormone to drastically affect the way the body works. Thus, hormone balance is crucial for the body’s health. Eventually, stress will affect not only the adrenal glands, but will also imbalance the digestive system, the immune system, the reproductive system, and the growth and healing of the cells. That is why women who experience unmanaged stress have menstrual issues, infertility, or difficult menopause. That is why our digestion suffers, and many people put on weight because of compromised digestive ability and metabolism (called agni in ayurveda). Kids who are stressed in school tend to have colds and sniffles very often, or unexplained allergies. Ayurveda takes a whole-person approach to health and illness, meaning that ayurveda considers that all aspects of a person – physical, energetic (pranic), emotional, mental, and spiritual – need to be be considered and looked after for optimum health. It is important that you do the same in your daily life. This way, you will be able to prevent the destructive effects of unmanaged stress and imbalanced hormones. Have a regular routine of gentle yoga, controlled and comfortable breathing (pranayama), and meditation. Practise yoga nidra (guided relaxation) daily, in the afternoon or just before bed. Have proper sleep – ideally between 10-6. Have a pre-sleep routine of winding down: gentle yoga stretches, a warm bath or foot bath, dimming the lights, avoiding TV and computer screens, a foot massage with sesame oil. Eat dinner between 6 and 7pm, so it is easier to get to sleep. Do regular daily self-massage (abhyanga) or get a relaxing ayurvedic massage weekly. Walk in nature regularly – on the beach, in the bush, up the mountains. Nature’s energies tend to re-harmonise our own so that we cope better with stress. Spend pleasant time with family and friends. Have enjoyable meals together. Make these times joyful. Do some moderate cardiovascular and resistance exercise 2-3 times a week, to flush the body and release tension. Look after your digestion, and eat moderate amounts, only when you are hungry. Warm foods with good fats like ghee or olive oil pacify Vata and nourish the nervous system. Try to have more routine in your life – regular mealtimes, sleeping and waking times, working times. Routine will reduce stress and anxiety. Practise gratitude and having a more positive outlook in life. Most of the negative effects of stress are due to the poor way we respond to life situations. Having a more spiritual outlook will enable us to see our situations with more understanding and acceptance. Long-term (or chronic) stress is a serious condition that needs to be addressed. 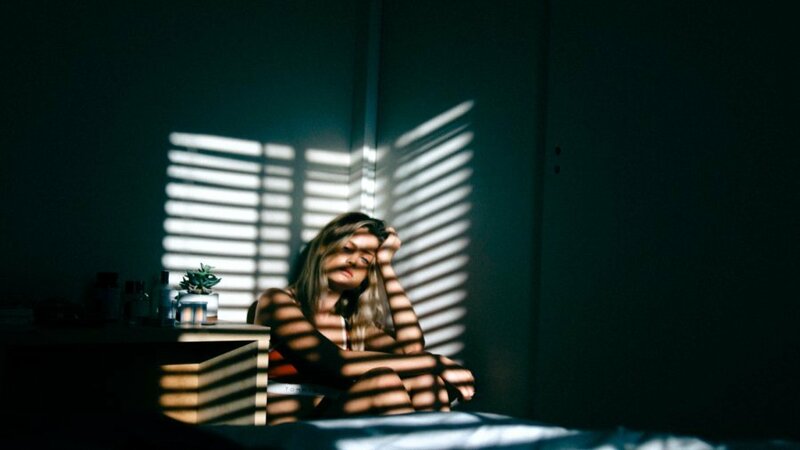 Adrenal fatigue – that is, when the adrenal glands are exhausted and can no longer secrete the proper hormones – is a complex issue that may need professional help to overcome. If you have been stressed for a long time, and suffer from adrenal fatigue and exhaustion, it would be beneficial to have a consultation with an ayurvedic practitioner who will take a holistic, whole-person approach, and recommend a plan to address your health and wellbeing on various levels. Recommend a personal hygiene and lifestyle habit plan. Teach you meditation or relaxation techniques. Offer therapies like massage, shirodhara or panchakarma. 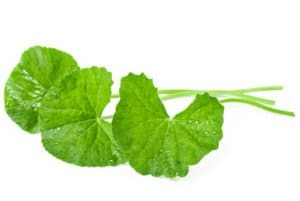 Prescribe a formulation of herbs that are well-known and tested for addressing fatigue, anxiety, the nervous system, hormone imbalance, and the body’s ability to deal with stress (these are called adaptogenic herbs, e.g. ashwagandha, brahmi, mandukaparni, shankhapushpi). Give you some counselling and practical advice for improving your attitude to life situations. Dr Priya Punjabi has had 30 years dealing with stress-related health conditions and hormonal imbalances. Give her a call to see whether she can help you with an ayurvedic programme for dealing with your stress and fatigue.